No more double entry required. With the Simple Inked integration with Xero Online Accounting, your accounting processes have been simplified. Go about your daily activities in Simple Inked and when it's time to close for the day, simply process your End-Of-Day session, as per the steps in your Advanced End Of Day article, and all your figures will be automatically transferred to your Xero account. Setting up your Xero connection in Simple Inked. Okay, so you have a Xero account, and you have a Simple Inked account. Let's get the two connected. 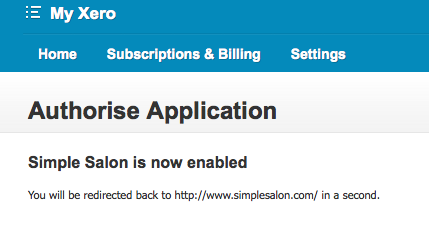 In your Account page, in the Actions menu, click Xero. As you can see, you are not yet connected. Click Connect to Xero to get started. Using your Xero login details (Email Address & Password), login to your Xero acocunt. 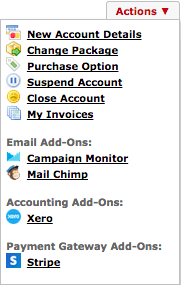 Once you're in, you'll need to select your Xero account from the drop down menu and click Authorise. In each of these drop down menus, you need to select an account. This is how Simple Inked knows where to send your figures (see below for a description for each setting). Note: If any of these menus have --- in them, the connection won't work. If you are unsure what to select for each of these settings, ask your accountant. Sales Account: This is where your sales revenue gets sent. For example, if your business made $1000 that day, this is where the $1000 will go when it is exported into Xero. Choose your sales account and then click the (+) to expand out the section. Product Sales Account: This is the account in Xero where you would like all of your Product Sales to go. Services Sales Revenue: This is the account in Xero where you would like all of your Service Sales to go. Package Sales Revenue: This is the account in Xero where you would like all of your Package Sales to go. Tip Account: This is the account in Xero where you would like all revenue made from Tips to go. 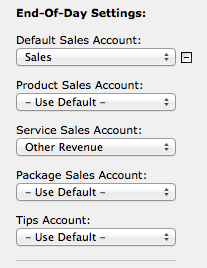 Click the (-) next to Sales Account once you have filled out all of the advanced options. Then continue on with the rest of the drop down menus. All need to be filled out. Default Asset Account: This is your credit, cash etc - all money that is received by your business. Sending your figures from Simple Inked into Xero. At the end of every day you will need to run the Advanced End Of Day process to ensure that your figures are sent from your Simple Inked into your Xero account. Once the figures are in Xero, they will be in a draft format. In order for these figures to be included in Xero, you will need to go to the draft in Xero and click Authorise.